Weddings can be absolutely stressful to plan and prepare. With the planning of a wedding, a bridal suite is one of the major components needed for the perfect wedding. This will be the perfect place for the bride and her maids to have a more intimate area to get ready away from all the chaos that a wedding brings. In order to help you plan out the most amazing bridal suite, here is a list of must-have essentials for an impeccable wedding. Every successful bridal suite needs a fun music playlist. Playing fun songs can help calm and de-stress everyone out allowing you to start the day happy and excited for what is to come. Also, having the perfect playlist for your bridal suite can brighten everyone’s mood and start everyone’s day right. Wedding day can be stressful, but don’t forget to eat! There is a long day of preparation ahead of you, and having snacks will give you the much-needed energy to conquer the day. In order to avoid being hangry make sure you prepare snacks so you’ll stay full and happy while you walk down the aisle. It’s no fun if you celebrate without champagne. Having a bottle of champagne with your maids while getting ready will put you at ease and get you excited for your big day. It’s very important to remember to stay hydrated throughout the day, especially on very hot days. Everyone will be busy throughout the day, and having bottles of water will be convenient and remind everyone to stay hydrated. Your wedding day can be a very emotional time for everyone. Prepare for those happy moments when your feelings get the best of you by keeping tissues in your bridal suite. 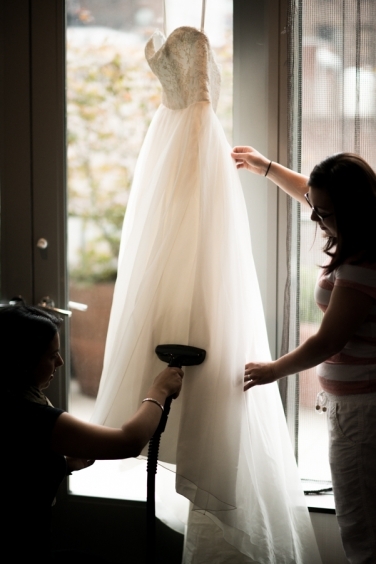 For emergency situations steamers can be very handy to have in your bridal suite. Wrinkles are bound to happen especially during transport, and having a steamer readily available will help you make sure that your wedding day is perfect. Your wedding day is one of the most important days in your life, and you’ll want to remember every single moment. Choosing the perfect scent is essential as your wedding day scent will allow you to relive the memories of your wedding day over and over again for many years to come. You will be walking a lot during the day, and your feet will get tired from the long hours of walking on heels. Keeping an extra pair of comfortable shoes will help anyone whose feet need a break away from heels. Having a comfortable pair of shoes will also allow you to move around easier while you’re dancing on the dance floor. If by any chance any wardrobe emergency are to during your big day it is very important to have a sewing kit. Making sure you prepare a sewing kit in your bridal suite will allow you the chance to address any emergencies that happen throughout the day. Throughout the day things are bound to happen, and having an emergency kit will allow you to be ready for any situations that come your way. Be prepared by keeping some of these items in your emergency kit. Having extra chairs in your suite will give you and your maids a place to rest and take a quick break. 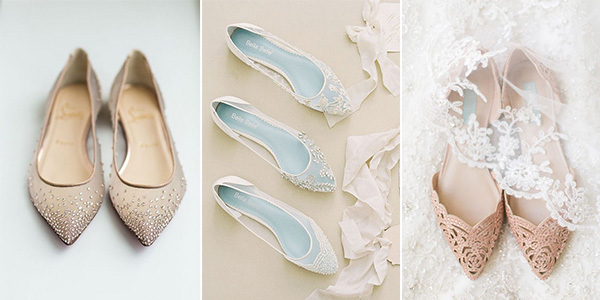 Wedding days can be very long and you will constantly be walking around. The extra chairs will give you a chance to recover from the long hours of walking.